Terra Mar Village is a one of a kind waterfront Village in beautiful and unspoiled Edgewater, Florida. Voted the best waterfront buy in Volusia County from local Realtors, we are the only location on the Intracoastal that offers residents several ways to keep their budget LOW! Only in TMV can a resident have the choice to own or rent their lot. There is nowhere else where you can enjoy a "heaven on earth," for only $125 per month! Our Village enjoys Canaveral National Park as your ocean neighbor. We are located on the Indian River Intracoastal Waterway and blessed to be forever preserved in “Old Florida Charm.” The Village common areas consist of a lovely Brick Clubhouse, coquina shell waterfront, two (2) 40,000 gallon saline swimming pools, a 300 ft. fishing pier, and your own boat ramp and launch. You may also enjoy time outdoors with your friends and family playing Bocci, Shuffleboard, Horse Shoe, Swimming or simply relaxing on the Pier. Taking in the sights, sounds, and smells of ocean water is sure to calm your senses and put life in perspective. The Nature of Terra Mar is Abundant, Alive, and Amazing! Dolphins, Manatee, and Sand Hill Cranes... these are your neighbors. Many of our large lots enjoy old growth live oak, Norfolk Island pine, citrus and a variety of other shade trees, many covered in century old Spanish moss. Most of our home sites are complemented with carports, a Florida Room or screened in lanai, cement driveways, and yard lights. Some of your neighbors will even have their own pier, canal, large garage, or their own in-ground swimming pool connected to their home! We are happy to welcome you to the completion phase 3 where we have several lots available for your perfect modular or manufactured home, RV parking with Porch Model Home, or Mini-home. For a lucky few, there are several pristine Intracoastal access canal lots available with SEA WALL! With interior lot prices starting at $19,900!!! how can you go wrong? Click HERE for our sales Specials! Pick your spot that suits your needs, and your budget, and start living and developing your retirement dreams today. 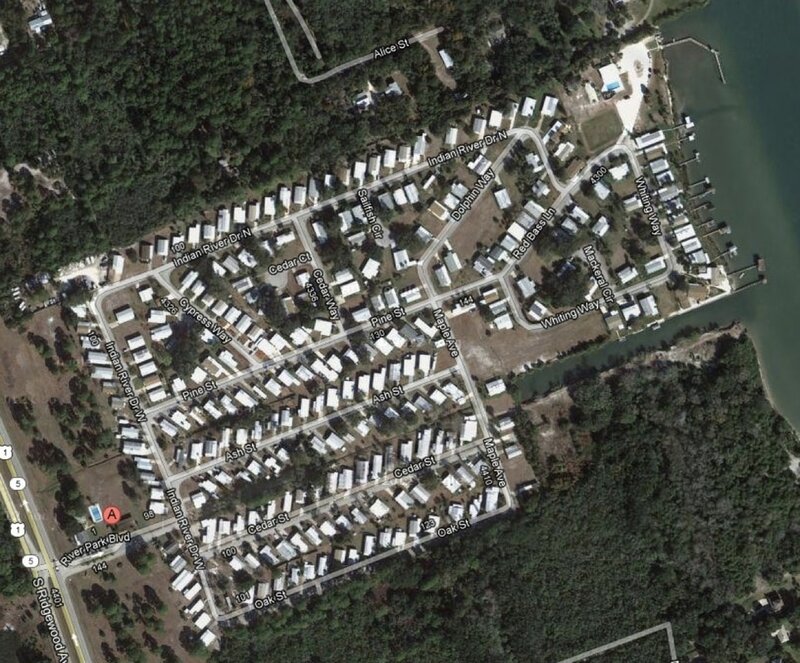 Come see our “Old Florida Charm!” This is how affordable waterfront living is supposed to be. Take I-95 or US-1 to Edgewater. Travel south on US-1 past Publix which will be on your right. Soon you will pass the world famous boat maker Boston Whaler on your Left, and soon after you will find the Terra Mar Village entrance, Riverpark Blvd on your Left. The office is located at 10 Riverpark Blvd., Edgewater Fl 32141. Please call: (386) 254-8464 for your appointment! Everytime I walk into my home in Terra Mar Village, I take a deep breath and immediatly start to relax. ~ T. U.